So, to be clear, I am not agnostic because I hope that my soul will ascend to Science Heaven, where I could spend eternity learning more about thermodynamics and quantum information theory (and where Firefly ran for 100 seasons). I am not agnostic because I hope souls exist. I doubt they do. I am agnostic about what happens after biological functioning because neither I, nor anyone else, understands consciousness and its fundamental relation to biology, chemistry and physics. Adam Frank is a nonbeliever in God. Get that straight. He authored The Constant Fire: Beyond the Science vs. Religion Debate; he has given the subject a lot of thought. This was just too close to sounding religious for some others. The message was clear: if you don’t have evidence that there is afterlife then you must, from a scientific worldview, presume there is not. I am reminded of the old Bertrand Russell teapot argument. Then again, I am reminded that so many skeptics take this position on the shroud: if you can’t prove it is authentic then you must assume it is not. Why? Because it is a religious object? Wouldn’t it be nice to have someone like Adam Frank examining the literature on the shroud. Open to thinking: You And Your Brain. On Agnosticism And Consciousness. It could well be that Yahweh, the God of the Bible, is a creature of manmade myth. Personally, I find it hard to believe that the God of nature — the inscrutable moving force that may (or may not) have created atomic particles, the elements and all the billions of galaxies out there – would worry about whether his Jewish followers on Planet Earth ate shellfish or trimmed their forelocks. If God exists, surely he’d have to be more vast and brilliant than the often petty, jealous and judgmental male deity who purportedly reigned over the Hebrew tribes three thousand years ago. Our earthbound mammal minds simply aren’t equal to the task of imagining anything as great as a bona fide God. 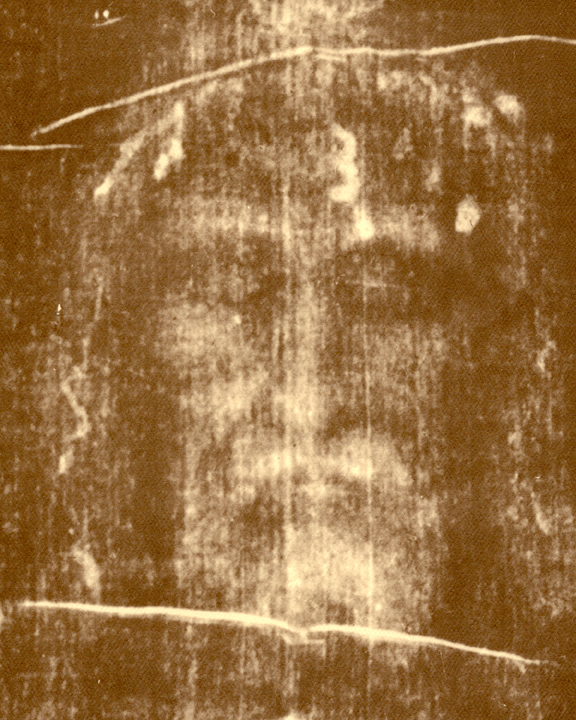 Picture Caption: The negative image of the face on the Shroud of Turin. Are we looking at the founder of Christianity? Who or what was he? That’s my belief. I have nothing to verify it other than my own fumbling grasp of the universe and how it works. I entertain no certainty of an afterlife, blissful or miserable. I like to believe we can tap into the essence of God, but don’t ask me for evidence. A hopeful inner voice tells me that the face on the Shroud of Turin actually belongs to Jesus, but I wouldn’t bet my life savings on it. I’m skeptical about the doctrine of salvation — that the Crucifixion somehow cleansed us of our sins, or that we even need to be cleansed — yet I’m also convinced that our society is the poorer for having thrown Judeo-Christian morality out the window. In short, you could say I’m stranded in the religious equivalent of No Man’s Land, midway between the warring factions of believers and atheists. If I weren’t such a strong believing Christian, I’d agree with so much of this. And in ways, I do. Bravo on the shroud. 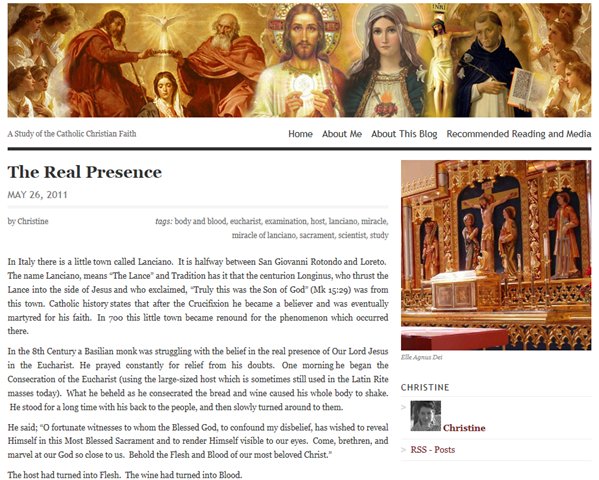 Christine, I enjoyed reading your posting, The Real Presence in your Catholic Expression blog. However, there is a significant error in your footnote in which you write. I have read it many times. It is an error that is going around that must be corrected. In 1978, a group of scientists from NASA performed an intensive examination on the Shroud of Turin, using all the sophisticated scientific equipment available to our Space Agency at that time. Among the many findings the scientists made in support of the authenticity of the Shroud, a very significant discovery was found regarding the blood type on the Shroud. It was AB positive. It was not a group of scientists from NASA. I have included (below the fold – read more) the list of researchers from Barrie Schwortz’ website at shroud.com. Only two were from the Jet Propulsion Laboratory, which is a NASA facility. The rest of the members of the team represented many different organizations. I also disagree with the statement that they were “using all the sophisticated scientific equipment available to our Space Agency at that time.” The tests were performed with sophisticated equipment brought from the United States, but it was a far cry of what was available. Anyway, thanks for an interesting posting. I enjoyed reading The Real Presence « Catholic Expression. 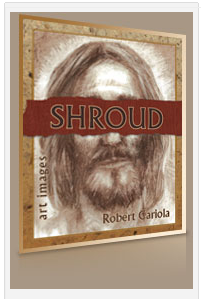 In March, I mentioned a book by Long Island artist Robert Cariola called, SHROUD:art images. I also stated that I could not find a review of the book anywhere on the Internet. At $82.00 for the hardback edition and $72.00 for the paperback, I was not about the buy the book sight unseen. I have seen the book and it is wonderful. 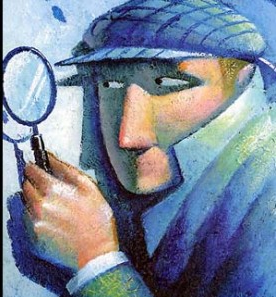 It’s chuck full of high quality color plates of his work inspired by the Turin Shroud. Roberts’ new book, SHROUD:art images is now available at Xlibris.com, and soon at Amazon.com and Borders.com, pending a deal with the 2 internet book giants. The Shroud – an ancient imprint on linen cloth believed to be the face of Christ, fascinating Christians and men for centuries. 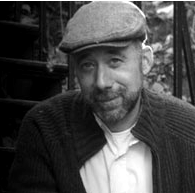 Its rich religious and cultural history has sparked inspiration in Robert Cariola as well. Behold SHROUD: art images, a showcase of the superb outcomes of that inspiration. Comprised of Roberts images and passages from the Bible, Robert has put together a collection depicting the face of Jesus Christ and the Shroud of Turin. Davor Aslanovski asks us to realize and perhaps even take heart in that . . .
recognize that the author’s idea of the creation of meaning is not far removed from that of contemporary academic thought on art. He is speaking here of how images provide for our need for sensible things to render what is beyond sense, a notion that he borrowed from Pseudo-Dionysius. The brainteasing conundrums, bedazzlements and whodunits posed to us by the Shroud of Turin, the Sudarium of Oviedo, the Abgar legend, the Mandylion, the Veronica, the Uronica, the Holy Face of San Silvestro, the Holy Face of Genoa, the Holy Face of Lucca, the Holy Face of Montreuil, the Mannopello image, and various other images and relics, originating from the periods so wonderfully unrelated one to another as to include everything from the earliest Christian times all the way to AD 1934 and Saint Faustina’s Image of Divine Mercy. See and read: Deum Videre: I am an art historian, therefore I believe: I.
I fully agree with this comment. I don’t trust at all this comparative image technique. It’s not a very scientific technique in my mind. Way too much suggestive. 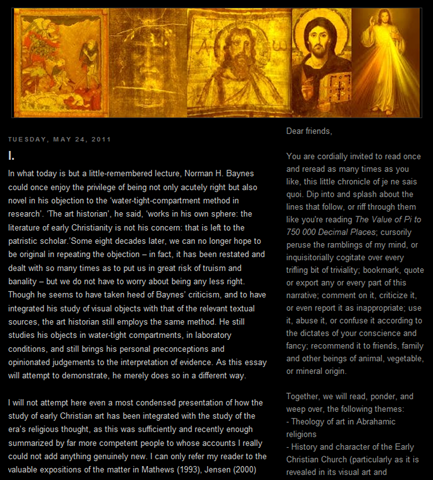 In fact, if the author took the Shroud face as the main image and use his technique again to compare it to other Jesus depictions, he would probably get the same result and the Shroud face then would be consider as the primary source for ancient Jesus depictions and not the ISA mosaic ! If he used one of the oldest Jesus fresco from the Roman catacombs, he would surely get, again, the same result and this fresco would be consider the primary source, etc., etc.